Donald Trump has tapped Stephen Miller, an adviser to his campaign, to be his senior policy adviser when he assumes the presidency in January. Miller had also been an adviser to Trump ally and Alabama senator Jeff Sessions, whon Trump selected for attorney general. 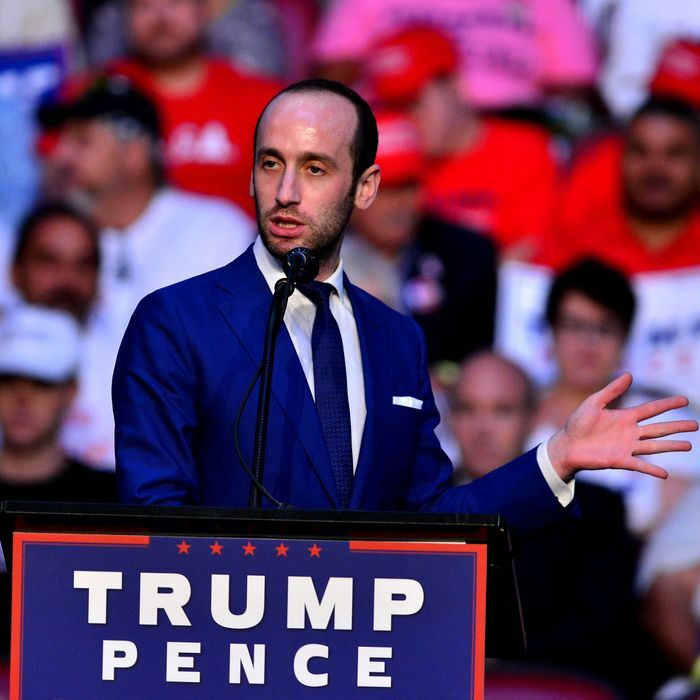 Miller became a well-known presence on the campaign trail, where he would warm up crowds before Trump took the stage at rallies all over the country. Miller’s brash mix of populism and wide-ranging conspiracy theories — he also boasts close ties to Breitbart News — came to define the tone of Trump’s candidacy. And while Miller might have been little-known outside the Beltway, in Washington he is an established, powerful behind-the-scenes player; he is widely credited with destroying the last real hope of immigration reform in 2014. Miller is already feared and despised by many — and he is only 30 years old! — but for another set of political players he is something of an answered prayer. He worked with Michele Bachmann and is beloved by Ann Coulter.